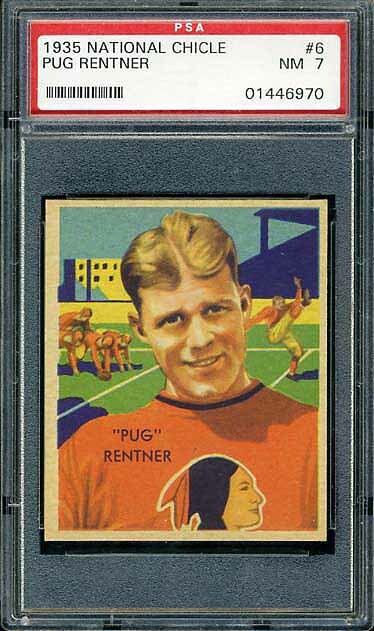 In 1935 the Redskins were still in Boston playing in Fenway Park. 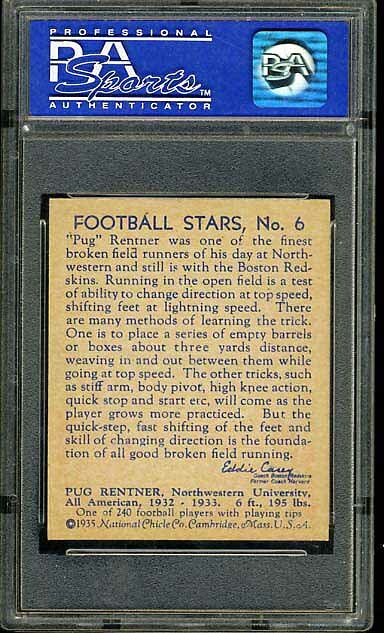 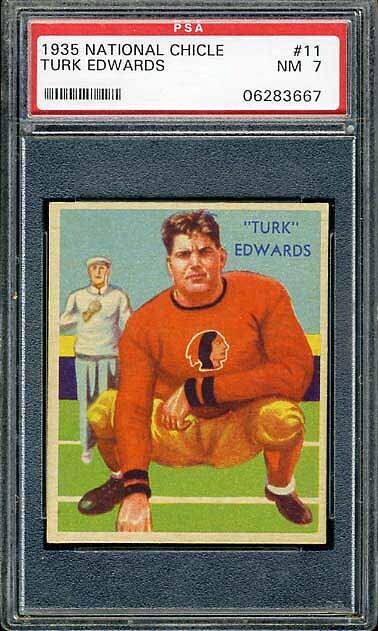 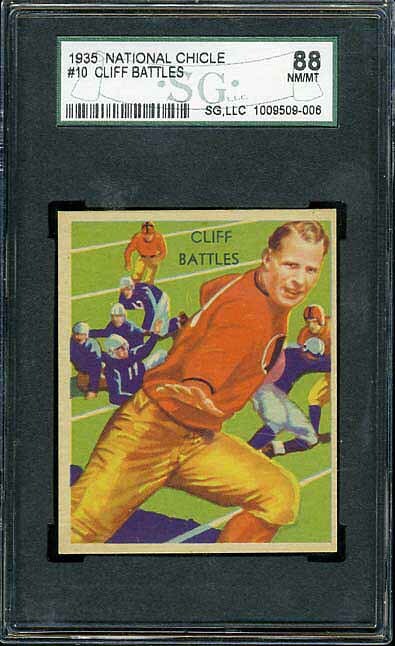 Four Redskins were included in the first major football card set. 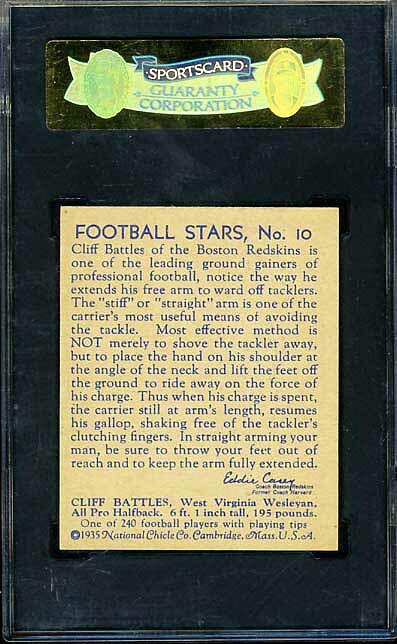 The complete set is below. 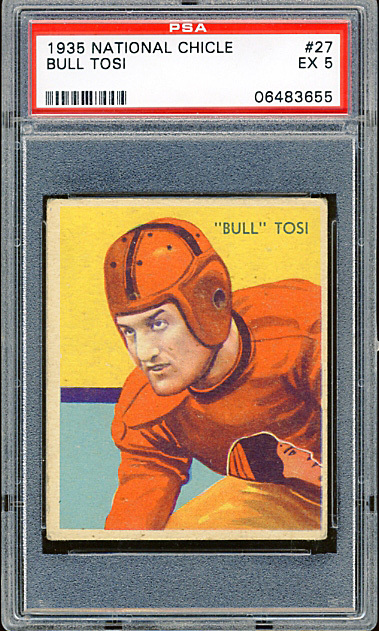 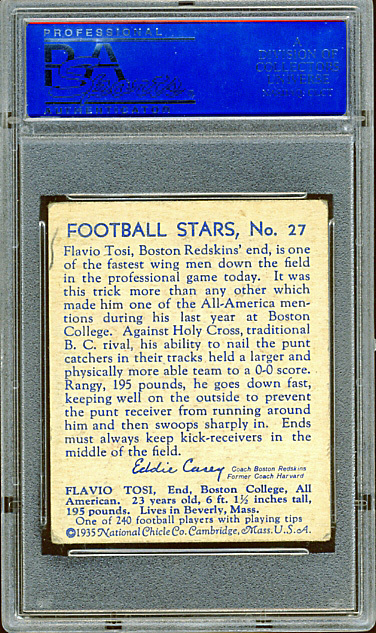 It includes one of the rarest cards in the hobby – #27 Bull Tosi. 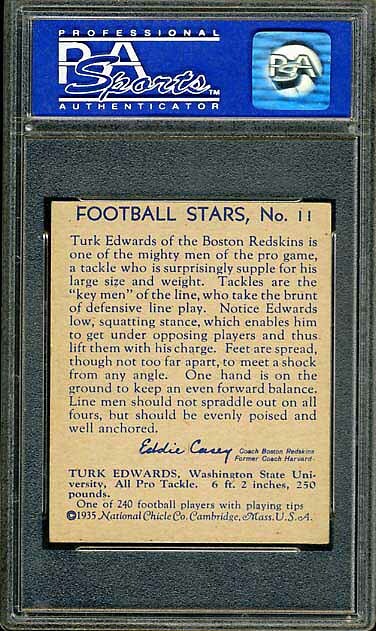 This set features the rookie cards of Redskin Hall-of-Famers Cliff Battles and Turk Edwards.